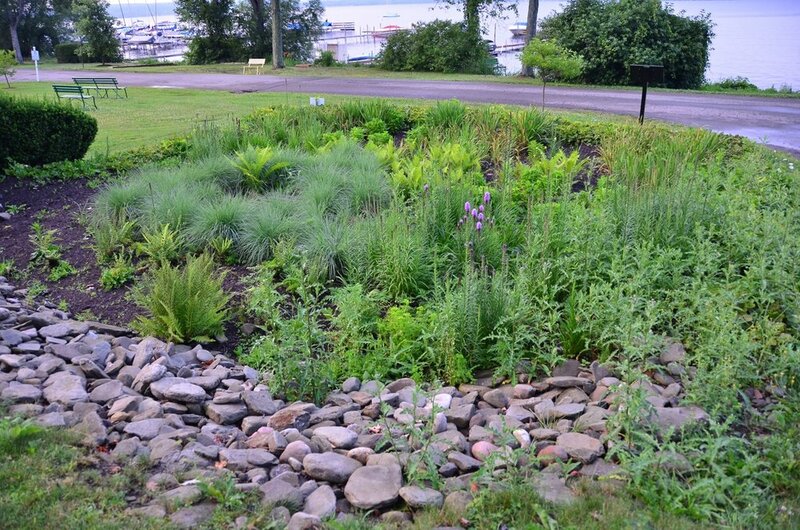 Physical Characteristics: This garden is a storm water retention site to “catch” the rapidly descending water from storms and filter the sediments out before entering the lake. The plants are chosen for their ability to absorb nutrients and pollutants quickly making cleaner water drain into the lake. Historical Context: This garden was created in 2011 as part of the Green Infrastructure Grant Program. Plant census in progress for the next 18 mos observing 2 full summer seasons + year round. Updates in progress throughout.